Our first CoaXPress 1 channel extender, PHORTE fully supports CoaXPress standard and extends link distance over fiber as far as 10km. With no programming needed, every module plugs directly into any application for ease of use. 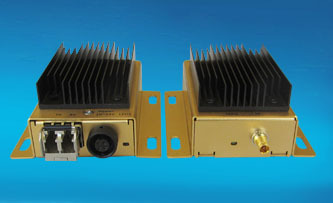 Modules come standard with the above shown heatsink, unless requested otherwise. All modules also support PoCXP and can be scaled to increase link distance. With its range of functions, PHORTE is one of the most versatile and easy-to-use products on the market. PHT1-M Extends up to 300 meters with OM3 multimode fiber, or 400 meters with OM4 multimode fiber.